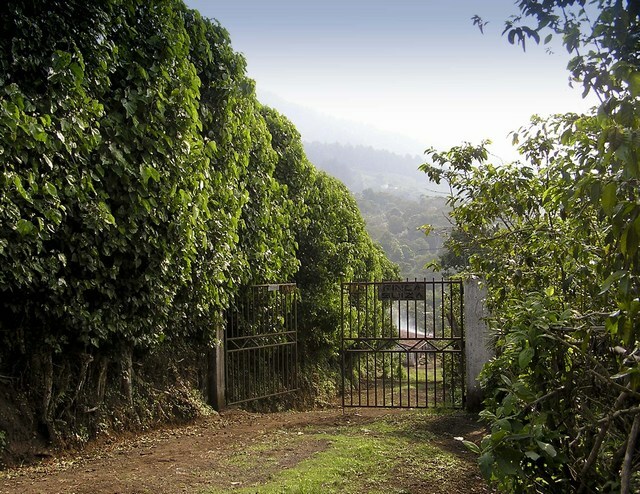 …A ridiculously beautiful picture of Finca Suiza, forwarded to me by our roaster! Juicy, dark berry-fruit and blackcurrant notes, with citrusy top notes, and a complex, delicate finish. Sweet, syrupy body. From the Nyeri region. I’m excited to be able to offer such a stunning coffee, which epitomises truly great Kenyan coffee. Washed SL28 and SL34 varietals. Beautifully crisp, clean and balanced coffee. Cranberry, currant, cherry and citrus notes. This farm won the prestigious Cup of Excellence competition in El Salvador in 2010, and the exceptional quality of this farm is displayed again by this year’s crop. Washed-process. Deep, soft, red and dark fruit, Cola, and red liquorice bootlace flavours! A wonderfully produced, remarkably clean-tasting, natural-process microlot via Graciano Cruz’s Hi-U designer coffee project. Bourbon varietals. Located in Najapa, San Salvador, El Salvador. Ethiopian specialty grade coffee. This coffee is all about sweetness, fruit, and the essence of great Ethiopian coffees this season. Named after the old English word for Ethiopia: Habesha. The coffee is taken to the coast at Malabar for drying, acquiring a unique aged taste. Very low acidity, with a spicy, musky, woody flavour. From Faiz Moosakutty’s Bibi Plantation in Sunticoppa, Southern India. As usual, the first few on the menu are the ones which have changed, and are the newest most awesome coffees, whilst there are also a couple further down the list which remain available throughout the year. I have to admit, I’ve taken off the Dark Roast blend (even though it was a good one). I know some people like it (mostly with cream and sugar? ), and I was happy enough to offer it as a contrast to the other coffees with more vibrant, coveted, origin flavours, for those who wanted it. But maybe customers are now coming to us seeking the more interesting, lighter roasted, crisp, juicy, speciality coffees. Either way, the dark roast simply wasn’t selling much (… and does anyone really want to drink coffee that’s less than fresh? ), to the point where it is just not worth keeping it. This suggests more people might be ‘getting’ what it’s all about, and enjoying better coffee, which makes me optimistic! It’s worth pointing out that the flavours described in the tasting notes are the subtle, natural flavours of the specific coffees, and they will be best when enjoyed black, after proper brewing, and when the cup has cooled a little (or even a lot – I like it really cool!). If you simply prefer to have milk, and to drink the coffee at its hottest, they will still taste good (and milk can sometimes add a positive, whole new dimension to the flavours), but you might not quite get the flavours as described. Also, you could buy the whole-beans, and brew at home trying other methods like single-cup pour-over filters, for instance, that can give a different, cleaner representation of the flavours. You’ll need a good grinder (ideally a burr grinder) to grind fresh as you need it – but it is worth the investment if you want really delicious coffee! At home, with all the coffees above, I have been experimenting with a slightly courser grind, and shorter bloom and brew times with my V60s lately, with some great results. Much crisper, brighter, more balanced, and with better, more controlled shaping of the bloom and grounds in the cone. Pouring kettle temp of 92-96C. Continuous pouring method. V60 01 and 02. Whilst my new TCA5 syphon on the other hand remains wonderfully challenging and labour and time intensive! Winter Hoard 2011 is still my selection of choice for espresso at the cafe right now, whilst it’s still around! …along with some Naturelle and Formula 6, here and there, to mix things up a bit! I’m always researching coffee techniques, experimenting, practicing, fine tuning, re-evaluating, and trying new things. With espresso, at work, over the last few days, I have once again been flirting with nutation! I vowed not to after the last time …but the temptation is too much! Some people say ‘nutation’ is an inaccurate word for the technique. Some people say it is a redistribution technique, rather than a tamping technique. But it is a technique which can have dramatic, and positive effects. Often it is used to fix issues with channelling. I infrequently suffer from (obvious) channelling on our set-up, and rather for me, it’s about experimenting with more even extraction, blonding, brew time, and controlling flow rate better. Some people report noticing little difference when using the method. Which always surprises me. On our set-up, the results can be immense (too immense!?). And contrary to what some people report, the main issue with using it for me has been the consistency. But the favorable results are so tantalising as to once again make me investigate it further… There are many variations on how to execute nutation as part of your technique, so I’m trying a few things to see if I can find a permanent ‘fit’, that is consistently better than my current, established technique. Luckily, I already own and use a US curve tamper! Nutation Nutation Nutation. This entry was posted on December 4, 2011 at 7:31 pm and is filed under Uncategorized. You can follow any responses to this entry through the RSS 2.0 feed. You can leave a response, or trackback from your own site. looking forward to trying a few of these at work! Yes – might be possible on Tuesday!